When only really short will do, the Wahl Balding Clipper is the one you need. Create the latest cutting-edge looks quickly and easily with this incredible hair clipper. Reach for the Wahl Balding Clippers for afro balding work, skin tight clipping and super-tight fades. Make short work of even the thickest hair, with Wahl's patented five-star series motor, which runs at double the speed of pivot motor clippers. Featuring rust resistant, high precision, zero overlap chrome plated blades, it is guaranteed to cut extra close time after time. 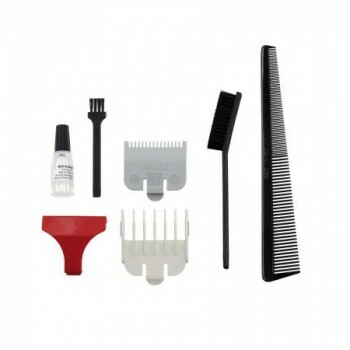 Every Wahl Balding Clipper is supplied with a trademark red blade guard, barber comb, clipper oil, heavy duty cleaning brush, and two short grader attachments. - Ideal for bald fades and cutting afro hair. 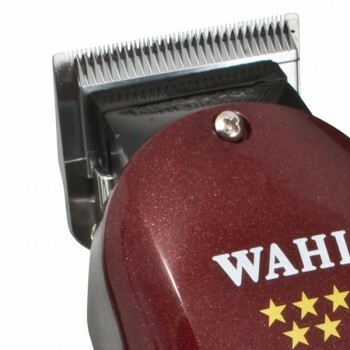 - Powerful motor from the Wahl five star range. - Wahl's professional version of the baldfader clipper. - Includes both 0.5 and 1.5 grader attachments.